I just received an inheritance. Not sure what to do. Is it better to invest it all right now? The market seems like it’s really high. Should I wait? Invest a little bit at a time? Thanks for any advice. Thanks for writing in. It’s always great to hear from readers. It sounds like you’re in a great position over there. I obviously do not know the circumstances regarding the inheritance, but being wise with this capital by planning ahead is a great move. This probably won’t come as a surprise to you, but there’s actually been a lot of research done on this subject. Essentially, we’re comparing lump sum investing (LSI) to dollar cost averaging (DCA). That’s the decision you have to make. But it’s a pretty easy choice to make once you have the data in front of you. Believe it or not, LSI wins out most of the time. It’s easy to understand why: the broader stock market goes up a lot more than it goes down over the long run. As such, the market outperforms cash most of the time. The stock market is this amazing compounding machine that grinds ever-higher over the long term. Sure, there are drops here and there. Every once in a while, a drop is big. But trying to time your way around the drops is silly. And almost impossible. Meanwhile, you’d be missing out on valuable time inside one of the greatest wealth builders and passive income generators the world has ever seen. Dollar-cost averaging just means taking risk later. Make sure to read that. Once you’re ready to actually invest that capital, however, you’ll want to make sure you have a long-term plan in front of you. I’m not sure of what, if any, investment strategy you currently use. But I can tell you that dividend growth investing has served me incredibly well over the last nine years. This long-term investment strategy espouses buying shares in world-class businesses that pay shareholders regular and reliable rising cash dividends. You can find more than 800 examples by checking out the Dividend Champions, Contenders, and Challengers list. That list contains invaluable information on all US-listed stocks that have raised dividends each year for at least the last five consecutive years. I’ve used this strategy to retire. But I’m not talking about an ordinary retirement here, Ronny. 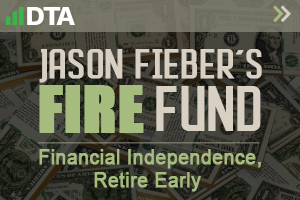 I achieved financial independence and retired early at just 33 years old. 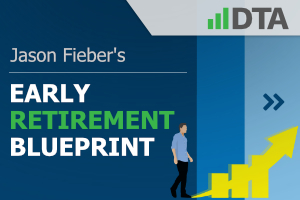 And I lay out how almost anyone can do the same thing, in my Early Retirement Blueprint. Following the DGI strategy allowed me to build my FIRE Fund. It generates the five-figure and growing passive dividend income I need to pay for my essential expenses. If you start to put a large sum of capital (via an inheritance) to work fairly quickly into high-quality dividend growth stocks, you could quickly build out a rather large amount of totally passive income. Better yet, that passive income will highly likely grow year in and year out – faster than inflation! That’s because world-class enterprises are skilled at increasing their profit, which means more money for shareholders’ dividends. Of course, it’s vital that you build out your knowledge base before you invest a single dime. Fellow contributor Dave Van Knapp put together a fantastic series of articles that go over this strategy from the ground up. 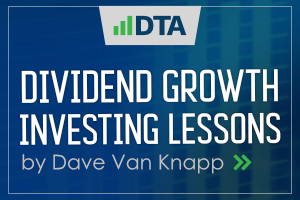 His Dividend Growth Investing Lessons are basically the A-Z of DGI. That will give you the foundation you need in order to make informed investing choices. Keep in mind, too, these lessons translate well to investing in general, even if you choose not to take advantage of DGI. However, I think you’ll be convinced of just how powerful DGI is once you consume the information, become informed, and see the potential. If you do decide to take advantage of this strategy, you’ll never be short on investment ideas. I personally take the time every Sunday to highlight a high-quality dividend growth stock that looks appealing based on fundamentals, competitive advantages, risks, and valuation. Professional equity analysis is also included in these pieces. 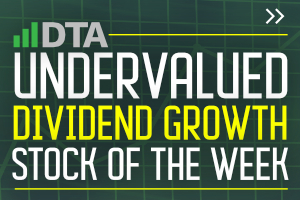 I present these ideas every week as part of the Undervalued Dividend Growth Stock of the Week series. It’s ultimately up to you to take action, Ronny. But I think the resources I’ve presented to you will help you become more educated and empowered. The stock market is an amazing machine that can make you incredibly wealthy over the long term.